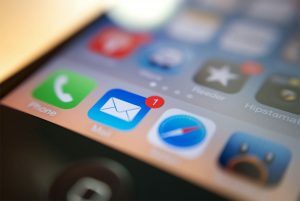 Ghosting, or not replying a particular person’s emails, text or calls, has become the equivalent of disappearing from someone else’s life (or, for that matter, removing them from yours) in this internet age of ours. Although ghosting makes it easy to hint that you’re no longer interested in pursuing a relationship, it’s never the right way to end things. Instead of simply avoiding or ignoring a person, man up and do any of the following alternatives to properly, and with courtesy, tell someone that you no longer want to be a part of their life. If didn’t feel any chemistry after your date, let him know right away instead of stressing him out with your sudden silence. Simply send him a quick text saying, “I’m sorry but I can’t really see us as a couple. I wish you well, though.” After that, you can now proceed with your plan to completely disappear from his life. Not a fan of ending things through text? Then do it through sending an email instead. This could be a politer way of saying your piece (without having any long conversations) and finally closing the door. The person won’t be able to respond right away, and they’ll likely understand that this is your way of putting an end to things. If there’s a perfect place to make good use of white lies, it would be in the dating world. You don’t need to hurt someone’s feelings or feel completely uncomfortable when breaking things off with a person you haven’t really dated that long. You can tell them that dating isn’t in your mind right now, that you have to focus on developing your career, or that you’re overwhelmed by some personal issues. Using these reasons will help you establish distance with the other person without looking like a complete douche. Let the other person know that you’re no longer interested in going on another date with them. But do let them know that you’d still love to hang out with them as friends and nothing more. They’ll likely get what you mean and move on, but at least, they’ll feel that the time you spent together mattered to you. Most of us choose to ghost someone because it’s just plain difficult and uncomfortable to tell that person the truth face-to-face. But as difficult and hurtful as it sounds, telling the truth can actually be somewhat empowering. Just tell the person that you no longer want to see or talk with them. Just ensure that you do it as kindly as possible, and you’ll see how better you’ll feel after telling the person the whole truth. While it may be the easiest exit strategy, ghosting somebody is never the right thing to do. Since you will no longer be seeing or talking with the person, why not choose to break things off as humanely as possible using any of the aforementioned alternatives. This way, the other person will less likely harbour any ill feelings towards you even if you decided to break their heart.